Raise your hand if you've never used the legendary Ares Galaxy to download music or videos from the Internet making the use of the P2P network. OK, you guys can go because you're not going to understand the wittiness of this application that adopts the name and icon of the famous download program, but the functionalities of which nothing to do with one of the most popular applications to download songs and movies at the beginning of the 2000s'. 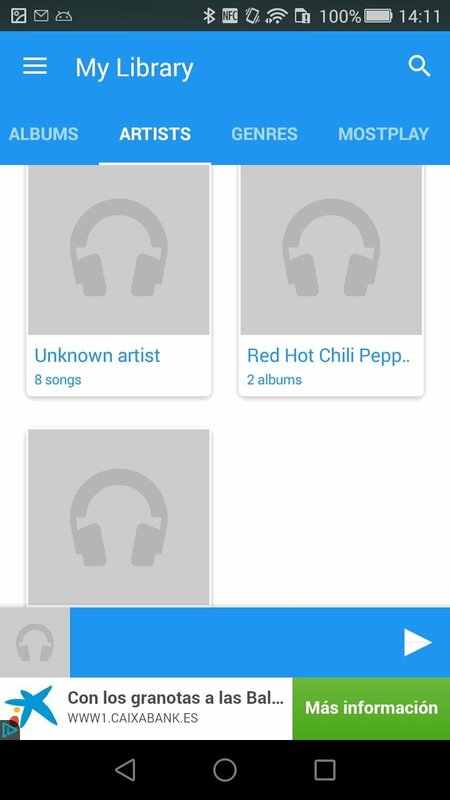 This Ares MP3 Music Player simply intends to take advantage of the nostalgia that that name causes to us (and while it's at it, accompanying it with a few keywords to gain visibility), to offer us a rather simple audio player that intends to overthrow the default media player on our Android smartphone or tablet. An Ares that can't be used to download anything. 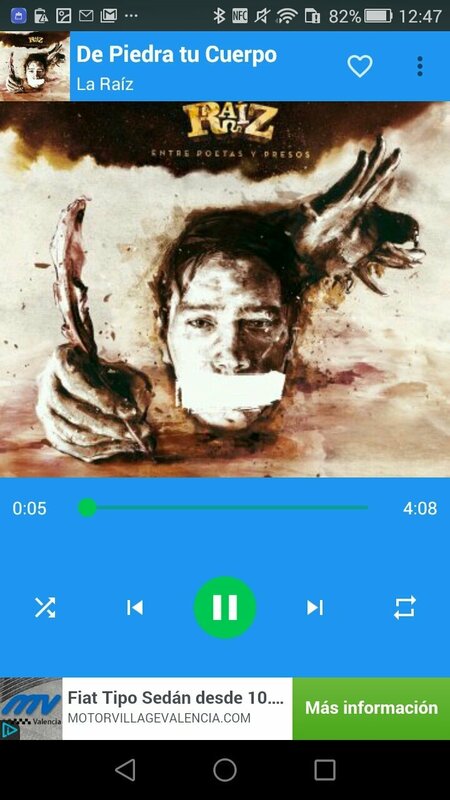 A difficult task for this Ares for Android, the APK of which offers us a rather basic music player without any additional function to draw our attention. It simply groups together all the songs in our library to show them on a sober interface full of adverts (another tribute to the original program), from where we can play the tracks by means of basic controls such as play, pause, forward, backward, loop or random. Nothing new in this sense. 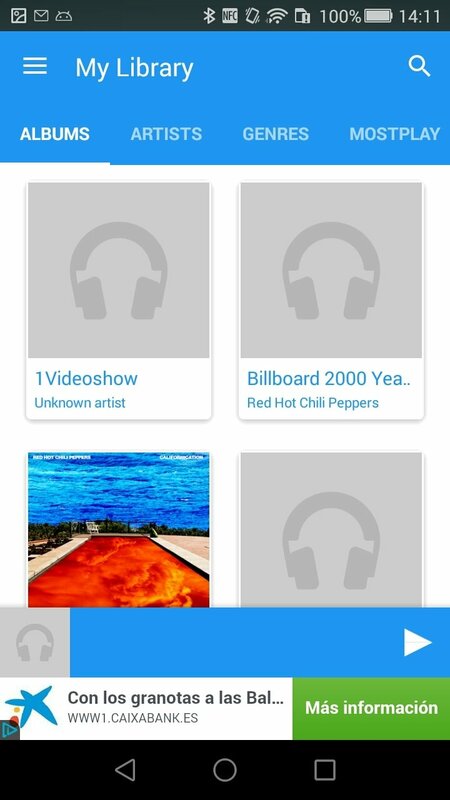 Audio player for Android with very basic functions. 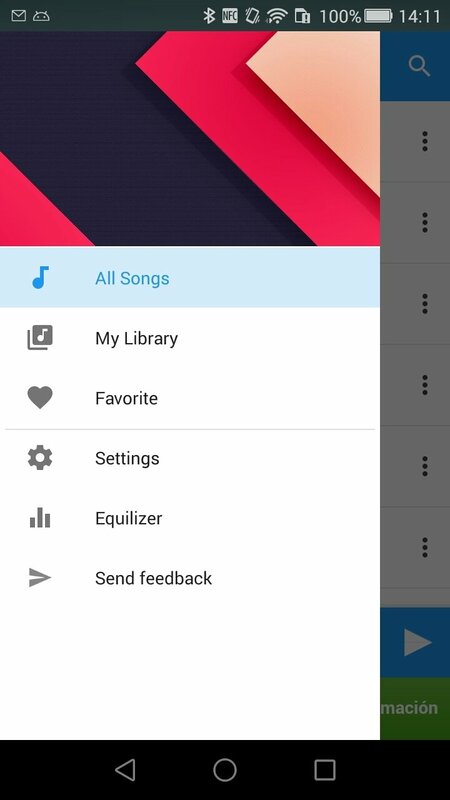 Access all your songs in alphabetical order or organize them by artist, album, genre or favorites. Built-in search engine to find tracks. View the covers of albums and singles. 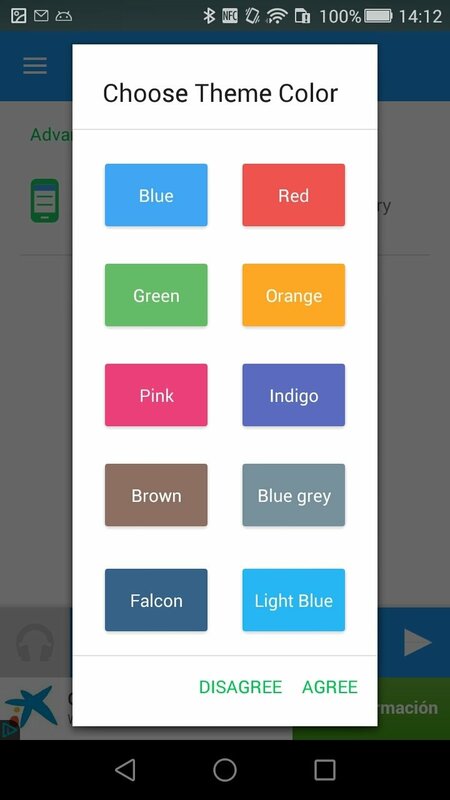 Customize the aspect of the interface with different color themes. Add songs to playlists and playback queues. Built-in equalizer that doesn't seem to work. 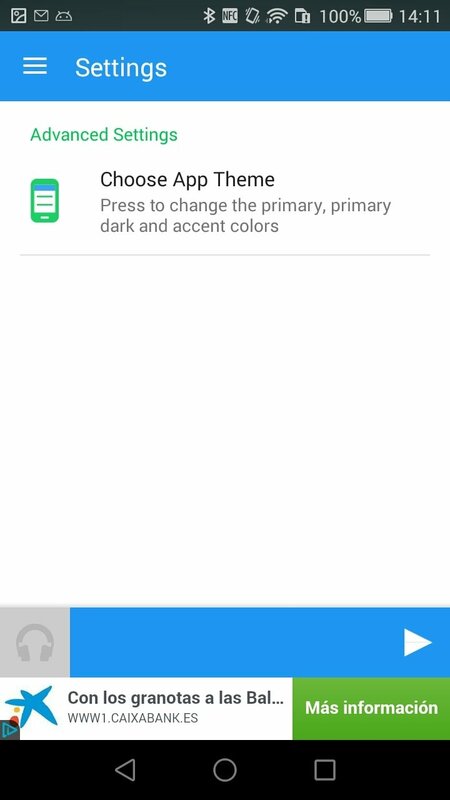 Play songs in the background while you run other apps. 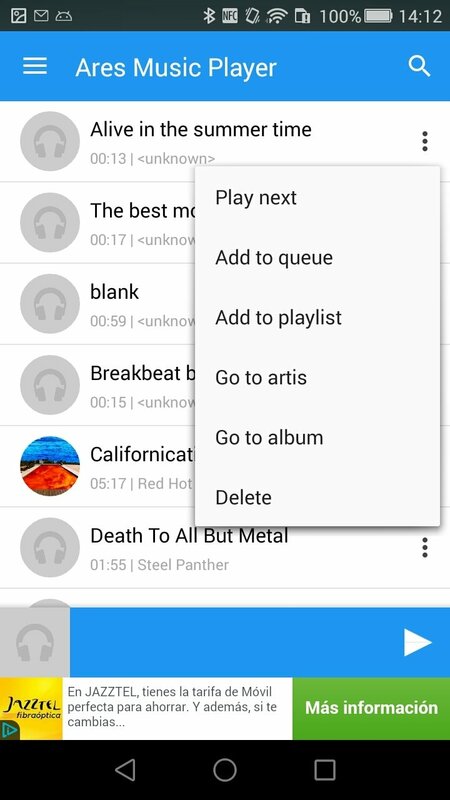 Possibility to delete songs from the Library straight from the application. 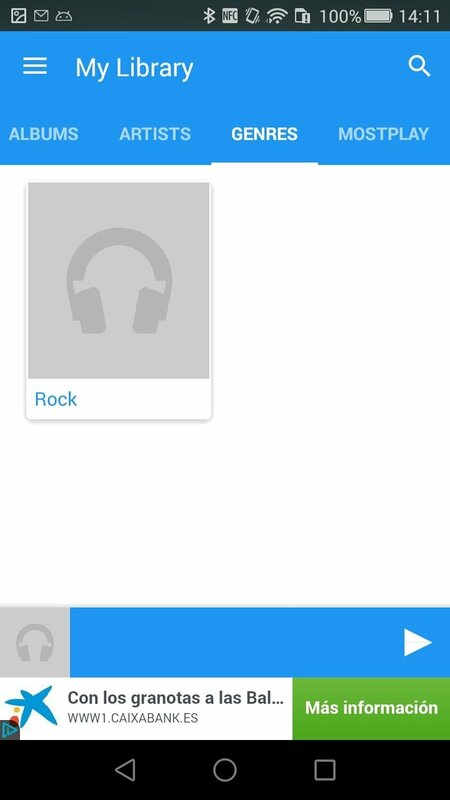 Listen to songs in loops or playlists in random mode. Basic play, pause, next song and previous song buttons. How to download Ares MP3 Music Player? Due to some unknown reason, this application keeps on appearing and disappearing from Google Play. The original developers might be behind this fact, complaining about its presence in Google's official app store, something rather strange considering that other similar applications that also pay tribute to the BitTorrent forerunner and that haven't suffered the same fate. 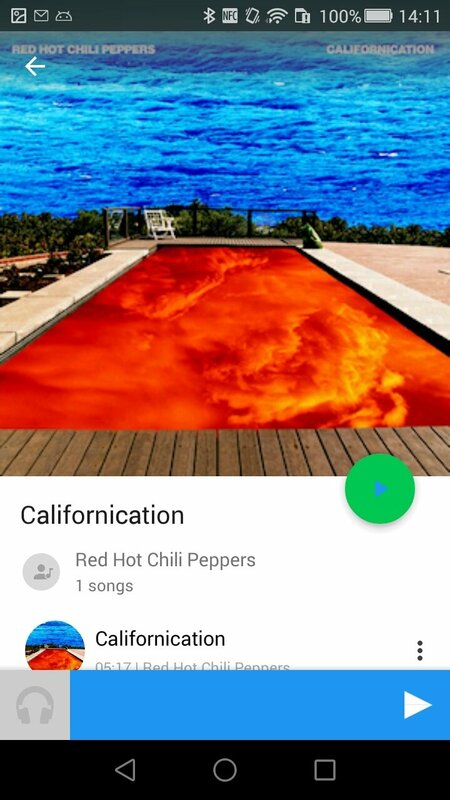 So, if you want to try out this audio player, you'll have to download its APK through the download link that we are offering you by means of the famous green button that you can find on this same page. Just enable the option to install applications from unknown sources and you'll have this Ares working in just a few minutes. Show off in front of your mates with the Ares logo in your application menu. But don't get too hyped up, remember that it has got nothing to do with uSound Ares MP3 Music available in Aptoide and that it doesn't allow you to download songs like you used to before the arrival of Spotify and Apple Music. Don't say we didn't warn you. I HAD a version of this and it DID LET YOU DOWNLOAD, BOTH MP3 and MP4, WTF happened to that app! ?